i m prsuing mechanical engg. final year. i m intrested in maths. can i apply for maths ? But you must first check which institutes are going to accept your GATE score in maths while completing graduation in Mech. Sir I have completed my B.E. degree in petrochemical engineering and I have filled the form in gate MA .I want to know if am I eligible for taking admission in any IIT for M.Sc in after securing required marks in gate ? Yes you are eligible but there are some restriction. Sir I have completed BSc in maths and stats and now I am pursuing MCA …so Am I eligible for MA maths in GATE?and how it benefits me in future…? You must completed Masters in Maths than only you are eligible for GATE Mathematics. I completed three years in b-tech graduation in electronics and communication and I did engineering mathematics in one of my semesters. can I apply for MA paper in GATE and try for IIT’s ? If yes, In which stream will I have to pursue M-TECH? Please check and inform me about the qualification criteria to get into IIT’s or any such institutes. You can join IIT for M Tech in Mathematics. For this you need to attend GATE EC paper. EC candidates can apply for Mathematics course in most of the IITs. For more details please check IITs official website & Information brochure. sir, can a graduate from engineering physics give gate exam in mathematics????? I am pursuing M.Sc final in maths. Can I eligible for GATE exam and if yes then which course I need to apply for GATE that would help me in future? And what is the use of GATE for me? Also after my schooling there is a year lag in my career. Yes final year candidates of M Sc were eligible for GATE 2016. As you mentioned your are pursuing M.Sc in maths so it would be better if you choose M tech or M tech + P HD in maths after qualifying GATE. Gap will not affect your career much. If you don’t let it affect your career much. 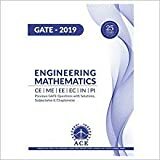 I’m pursuing B.E in Electronics & Communications….i want to know that if i will chose Mathematics(MA) as one of my GATE exam paper then will i be eligible for PSUs? also there is year lag in my career. There is very less jobs in PSUs for Mathematics rather than Electronics & Communications. Check below posts for more details. Sir, I have done my MSc in statistics. I want to do m.tech .To which course I need to apply for GATE that would help me in future? As you mentioned you have done M Sc. in statistics so it would be better if you do M Tech in subject related to statistics. So that you can find more job opportunity related to statistics in future. Sir, I have done my B.Sc. in mathbvs and M.Sc. in Operational Research. Can I apply for mathematics in gate 2016? First you have to complete Master’s degree in Mathematics For being eligible for GATE exam. (1) As far as I know there are very less PSUs which recruit Mathematician on the basis of GATE score But there are few Govt departments for which you can apply on the basis of your M. Sc. also there your GATE score card will have no use but if there is any interview they will surely consider your GATE/NET score card if you have good one. You can find such high profile and reputed govt. jobs in UPSC & SSC special recruitment notification also. UPSC ask about your GATE/NET score while filling application form. (2) After a Masters degree, you can pursue a Ph.D. and can apply for lecturer/professor post in various universities. First you need to complete your masters in order to attend GATE exam. There are very few PSUs which will recruit a candidate which have qualified GATE with mathematics subject. So main advantage in case you of would be that you can get admission in IISc/IITs or any reputed college using this GATE score for higher education. Electronics discipline is not allowed in Mathematics discipline but Mathematics discipline is allowed in Electronics discipline. However eligibility criteria depends upon the educational institute in which you want to take admission so please first check the education qualification of that institute in which you want to take admission and the respective course in which you want to take admission. (i) M.Sc in Mathematics/Statistics/Physics/Computer Science. 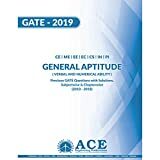 (ii)A valid GATE Score in Mathematics/Statistics/Physics/Computer Science/Electronics and Communication Engineering/Electrical Engineering/Chemical Engineering. You are eligible there. So please first check education qualification of the course and institute in which you want to take admission. Education qualification criteria is different for different institutes. Sir, i have done bachelors in Electrical and Electronics Engineering. Can i apply for mathematics in gate 2016. For mathematics you have to have mathematics or computer science at your graduation level. May be in some institutes they may qualify Electrical and Electronics Engineering for this course. You please check some institutes qualification criteria for mathematics before making any decision.